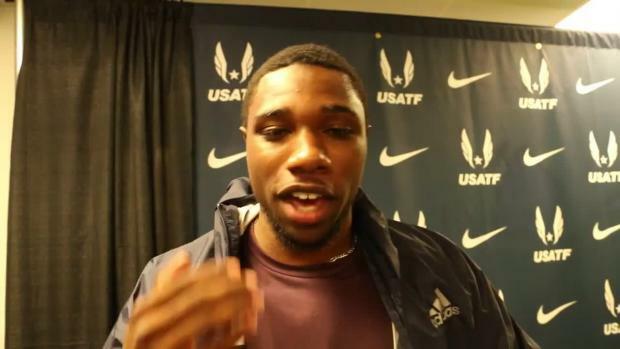 The future is bright for Noah Lyles, no matter the outcomes in Bydgoszcz, Poland this week. 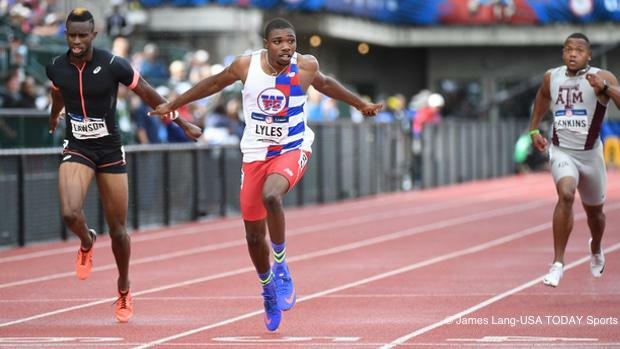 The fastest U.S. high schooler ever over 200m --both indoors and outdoors-- is currently competing in the 100m at the IAAF World U20 Championships with goals to both win and to become the first prep to break 10 seconds. He's also weighing whether to honor his commitment to attend the University of Florida this fall or sign a professional contract. "We've gotten a few offers, we're still looking around," Noah said this morning in Bydgoszcz. "Nothing's set in stone yet. Something might happen but we still might be going to college." The Lyles are not working with an agent and Noah preferred not to say which shoe companies had extended offers. Today's morning session was a breeze for the nineteen-year-old, as he cruised 10.28 (+0.7) to win his prelim with the fastest time of the day while letting up at the line. 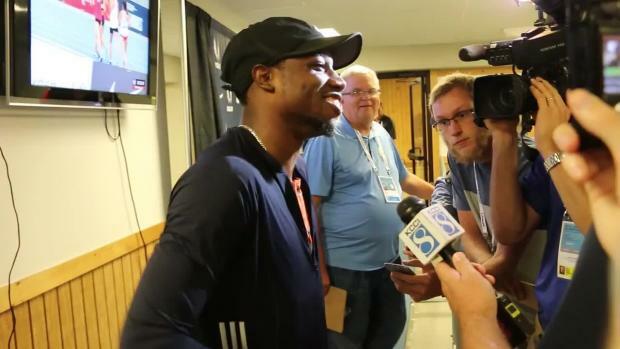 Nearly two weeks ago, he shocked mainstream media by placing fourth in the 200m at the U.S. Olympic Team Trials in Eugene, Ore. That's where he clocked his national record of 20.09 (+1.6) to match his indoor record of 20.63, set at New Balance Nationals Indoor in March. He said he took an extended break between the conclusion of the Trials on Sunday, July 10 and this past Saturday, July 23 when he arrived in Poland. "I think it was very needed," he says. "The Trials were very pounding, very stressful on the body. I was trying to relax my body, get any treatment I needed, get ready for these Under-20 Championships." "I don't consider this a victory lap," he said. "I'm still working. I still got times I want to hit. 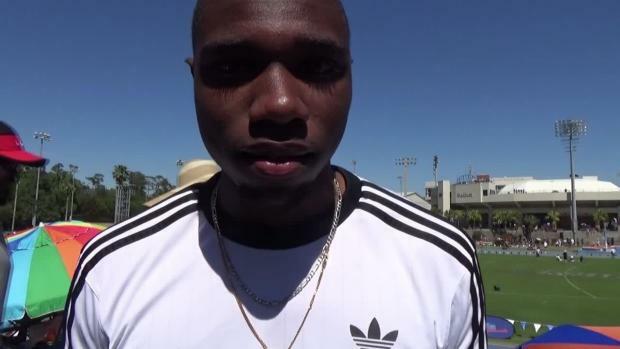 I got the 200m national record, now I gotta go for the 100m." 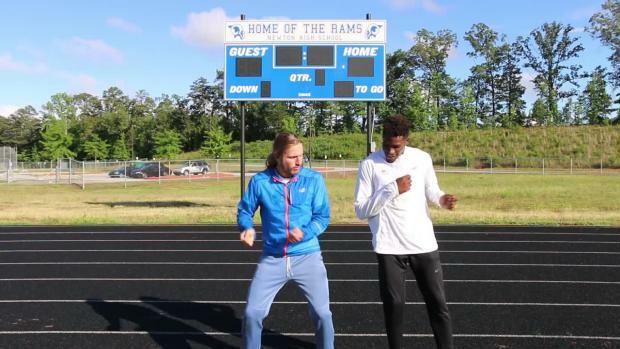 Trentavis Friday of Cherryville, N.C. set the 100m national high school record at 10.00 (+1.6) in 2014. Trayvon Bromell ran 9.99 to win the Great Southwest Classic in New Mexico as a high school senior in 2013, but the time was aided by tailwind of 4 meters per second. 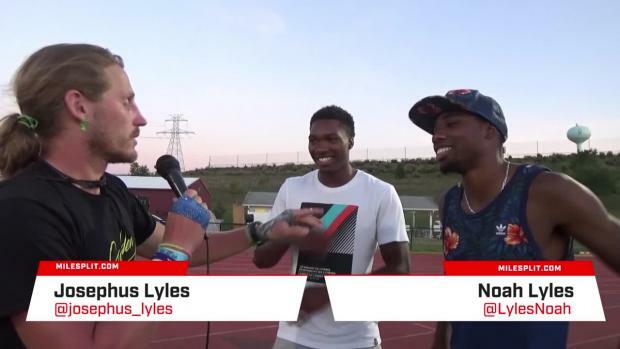 "I definitely want to," Lyles said of breaking the vaunted barrier.